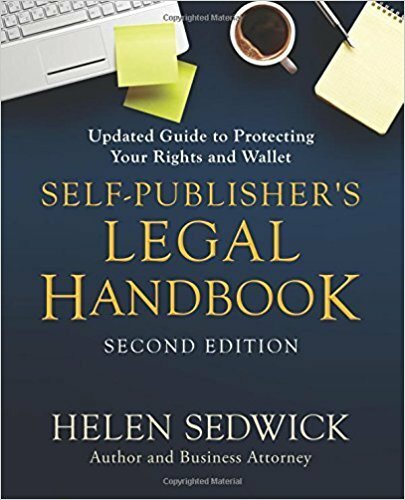 Today’s guest post is by attorney Helen Sedwick (@HelenSedwick) and is adapted from her newest edition of Self-Publisher’s Legal Handbook. Choosing a pseudonym can be as daunting as naming a character, especially since the character is you. The simplest pen name would be a variation of your own name, such as a middle name, nickname, or initials. Many authors change only their last name so they don’t have to remember what first name to use at conferences. Once you decide on a list of possibilities, do the following. Search the internet and bookselling sites. Avoid any name already used by a writer, since that is likely to confuse readers. Do not use the name of anyone famous. If you write a book under the pen name Taylor Swift or Derek Jeter, you may be accused of trying to pass yourself off as the celebrity. I also suggest a trademark search through the U.S. Trademark Office. If you use the name of registered trademarks, you risk getting a cease-and-desist letter. Try to avoid using the name of a real person. If you happen to use the name of a real person, you are not committing identity theft. Identity theft involves intentionally acting to impersonate someone for financial gain. But if your writing affects the real person’s life, consider changing your pen name. 2. Buy available domain names. You will want to buy a website domain for your pen name. File a Fictitious Business Name Statement (FBN Statement) if you will be getting payments made out to your pen name. In some jurisdictions, you may have to add the word Books or Publications after your pen name because the local jurisdiction won’t accept a Fictitious Business Name that looks like the name of a real person. Place the pen name on your cover and your copyright notice: © 2017 [your pen name]. Some authors put the copyright notice in both their pen name and real name, but it is not necessary. 5. Be open with your publisher. Usually, you will not be able to hide your real name from your publisher since contracts are signed in your real name. The exception is when you form a corporation, LLC, or other entity, but even then, most publishers want to know their authors. You may register the copyright of your work under your pseudonym, your real name, or both. There are downsides to registering the copyright under a pseudonym only. 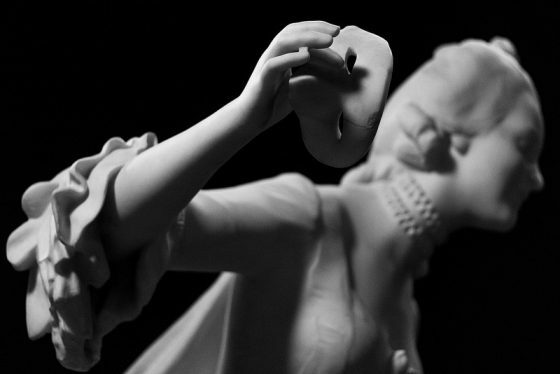 First, it may be difficult to prove ownership of the work at a later date. Second, the life of the copyright will be shorter: 95 years from the year of first publication or 120 years from its creation, instead of 70 years after your death. I recommend that authors register their pseudonymous works under both their real names and pen names. This creates a permanent record of ownership, and few readers are going to research copyright records and find out the author’s real name. There is no way to “claim” a pen name as exclusively yours. You may go through the process of filing an FBN Statement, but that gives you the right to use that name, not the right to stop others from using the same name (unless they happen to be doing business in the same county as you). If you become very famous under your pen name, then you might have other options. If that happens, you should engage a lawyer to help you. Don’t go overboard in creating a fake identity. Never claim credentials you don’t have. Using made-up credentials, especially to market an advice book, would be a misleading business practice. Using a pen name for a book containing professional information may not be permitted by the rules of your license. For example, the American Bar Association and the California State Bar would consider my book Self-Publisher’s Legal Handbook a “client communication” and “advertisement.” Therefore I must disclose my real name according to ethical rules. If I were writing a novel, I would have more freedom to use a pen name because readers are not relying on my legal credentials. You should consider how secret you want to be about your true identity. Maintaining secrecy is difficult. The higher the level of secrecy, the more complicated the process. Plus, you need to keep track of which identity to use in what context. Most authors choose to be open about their pen names. At book signings, they use their pen names, but at writers’ conferences they use their real names with a reference to their pen names. For example, Dean Koontz lists his various pen names on his website. Some authors are more discreet. They try to maintain their privacy, but not to the point of lying. They don’t put photos on their books and blogs, do not link their websites, and limit public appearances. For a bio, they use their own life story, but told in generic terms. David Savage (a pen name) did that with his bio for his book How the Devil Became President. Other authors put up roadblocks. They set up corporations and trusts to hold the copyrights and contracts. This is the most expensive alternative and may require an attorney. Even then, someone will know who is behind the corporation, and word may leak out. In this internet age, secrets are almost impossible to keep. Remember what happened to J. K. Rowling? She tried to keep quiet about her pen name Robert Galbraith, but it was leaked by, of all people, her lawyers. If you found this post useful, I highly recommend Helen Sedwick’s Self Publisher’s Legal Handbook.